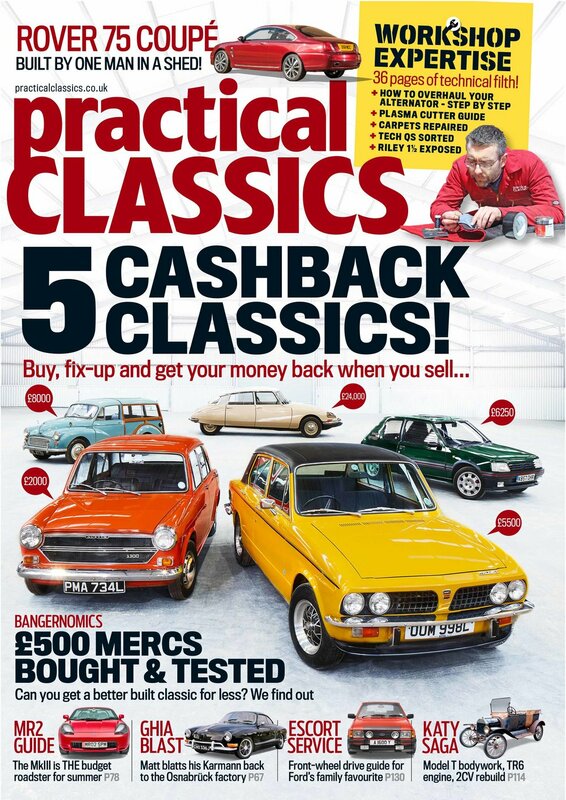 In the Spring 2018 issue of Practical Classics, we present the cars you can buy now, fix up and sell (if you want to!) and make your money back. From Dolomite to DS, Minor to 205 GTi, you can’t lose with our guide! There’s an astonishing recreation of a Rover coupe that existed only in concept form (until now!) and a unique take on how to buy a Mercedes for less than £500. There's a guide on how to buy a Mk3 MR2, an epic blast to Germany in a Karmann Ghia - plus guides on how to fix, restore and maintain everything including the kitchen sink! Concept cars: These wild visions of the future are usually destined for a rotating motor show plinth, most of them so preposterously audacious they disappear without trace. When the Longbridge lines finally came to a grinding halt in 2005 and MG Rover vanished from the automotive map, the last of the British ‘nearly cars’ went with it. 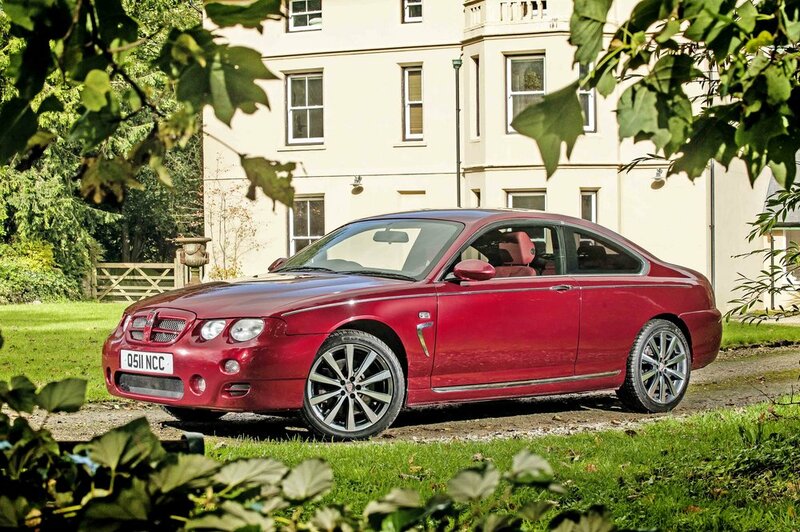 The 75 Coupe concept was unveiled in 2004 to celebrate 100 years of Rover and appeared to be almost production ready. Rover’s design director suggested his newest creation was a real point of difference - elegant and refreshing when compared to the ‘post-modern brutalism’ of other cars at the time. The public approved. The prospects were good. And then… tragically… the surrounding factory sheds fell silent. However, one retired builder decided to built himself his very own Rover 75 Coupe. 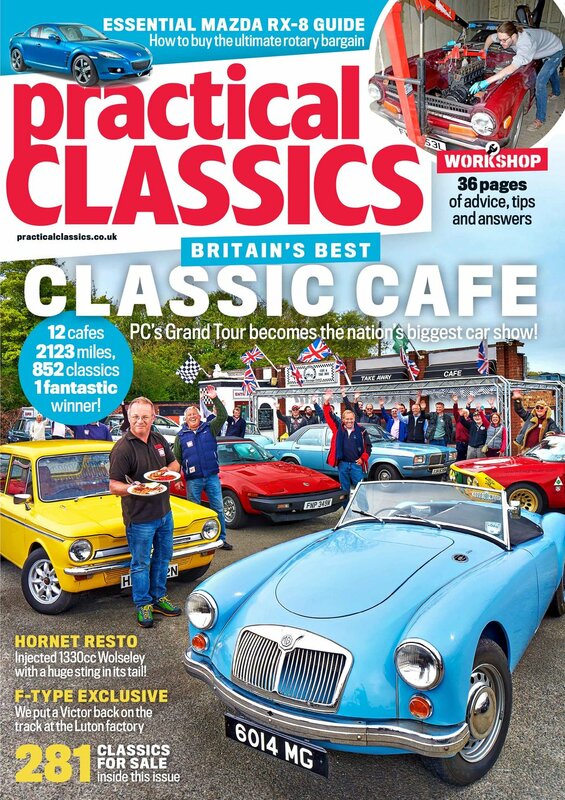 Find out how he did it, in the Spring 2018 issue of Practical Classics. 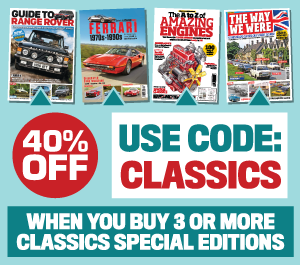 The five classics we’ve selected here after much discussion, if bought needing work, will obviously cost significantly less than the equivalent price for a Condition 1 car, and with a gap large enough to fund plenty of improvements. So buy smart and use your skills to have a classic that you can really enjoy and be proud of, with the option that you could then sell it to pay for the work done and come out of the deal cash neutral – perhaps with a pot of funds for the next step up the ladder. The opportunities are there because classics are so often sold when work is needed or on the horizon and the owner either lacks the skills or inclination to get stuck in. If you can bring those elements to the party, you can be onto a winner. It’s time to find out where YOU love to take your classic cars. We are fully expecting a week-long festival full of pop-up classic shows and road-runs between the places you voted for. We will be in our classics visiting your choice of amazing destinations, judging their classic-friendliness and at the end of it all, coming up with a winner. Coming with us, our partners at Footman James, who have had the enthusiasm and foresight to support the event for a second year. They will be in the new FJ show vehicle, a rather excellent VW Type 25 transporter with its nifty little Polo breadvan trailer. They will be with us as we attempt to blast around the country in our own classics between your top ten choices of favourite places. Our two biggest projects of the moment are progressing well and due to be unveiled at the Practical Classics Classic Car and Restoration Show, with Discovery. The massive event takes place at the NEC on March 23-25, when visitors will see our 1954 Citroen 2CV, a car project bought to celebrate 70 years of the Tin Snail. Having not seen the road since 1975, it’ll be rebuilt live on stage at the show with help from Autopaints Brighton, The 2CV Shop, Rustbuster, SodablastUK and Nene Valley Body Repairs. Also revealed at the show, one of our bravest restorations yet. Saved from the banger track, the Austin Westminster A105 Estate is one of just ten made and is the only one with an automatic gearbox. CBR motorbodies and Practical Classics are restoring it in conjunction with Anglia Car Auctions, Hagerty Insurance and CL Panelcraft. Proceeds from its eventual sale at Anglia Car Auctions will go to Lennox Children’s Cancer Fund. Our Matt takes his Karmann Ghia back to the factory in which it was born.